We Now Carry Interceptor Plus! We now keep Interceptor Plus in stock! 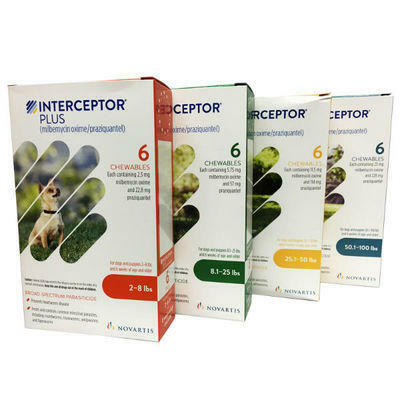 Interceptor Plus is a monthly, broad spectrum parasiticide used to prevent heartworm disease, as well as treat and control common intestinal parasites including roundworms, hookworms, whipworms and tapeworms. Ask at the front desk if you're interested in this product or is you have any questions about what monthly preventative is best for your pet.